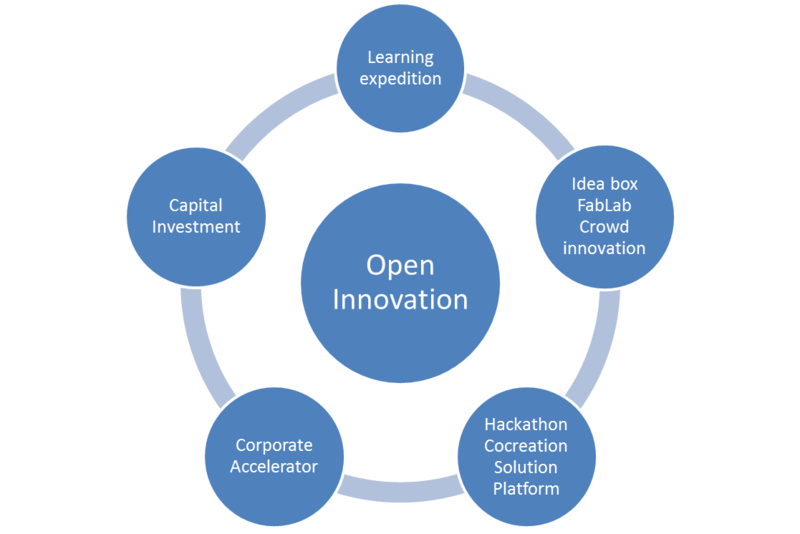 While 2016 saw innovation centers, intrapreneurship programs, corporate startups accelerators, and corporate FabLabs blossom, I expect 2017 to see the rise of a new kind of open-innovation centers: they will be multifaceted, and oriented toward the shape of new business models. Corporate startups accelerators help startups to find business with the corporation for their innovations. As they share the same goal, it’s time for all these innovation teams to share the same space, as well as training, mentoring, and supporting resources. The lessons to compose, lead, and grow an innovation unit, and the network to engage the corporation on the creative product (like demo days, and connections with the business units looking for innovation), can be fruitfully mutualized across intrapreneurs, startups, and corporate innovation teams. Airbus BizLabs “hybrid” concept and BNPParibas Wai (We Are Innovation) are initiating this trend, by mixing startups with intrapreneurs in their premises. 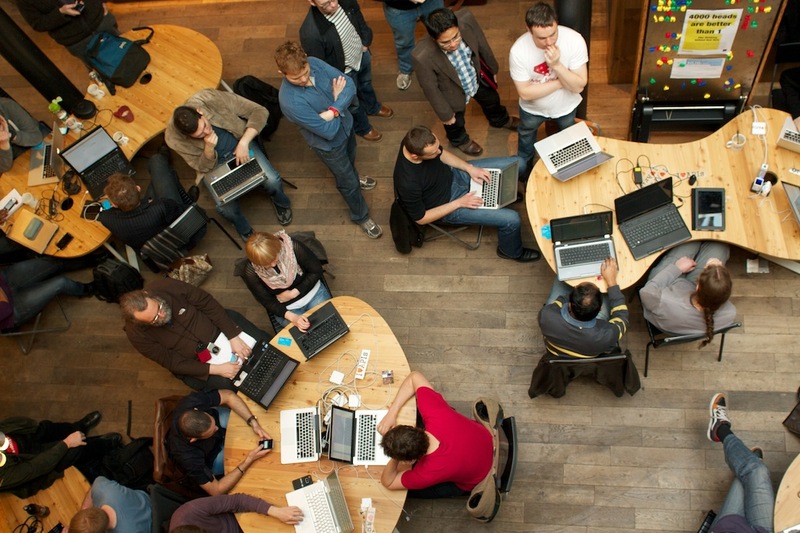 Oracle will soon open a creativity space open to startups, customers, and employees. At last, these open innovation centers must be 7/7 living places, hosting innovation events, that bring ideas from the outside: this space should look like a busy bee-hive. Besides the share of resources and methodology, the main benefit will be the percolation of external startups culture with the inside culture of the employees (intrapreneurs, extrapreneurs, corporate innovation teams). Startups will grow their network and connections in the corporation, understand betteer the needs and organization of a large company, and employees will learn on an equal footing how startups form and grow. Employees will develop their entrepreneurial spirit. Why the hassles of building innovations, if it doesn’t come with a powerful business model? It remains an invention, that others will unearth later on, it might well be years after, and bring it to success without you receiving any benefit. The first electrical car to go over 100 km/h was invented in 1899 by Camille Jenatzy, and did make any profit from the success of Tesla Motors 116 years later! What is the point of innovation, if it’s not to build great new products and services, with profitable business models? The work on innovation design goes hand in hand with business model innovation, and holistic innovators will think carefully of all the necessary enablers for their innovation (ecosystem oriented, product as a platform), and of the fair and creative way to share the value among their contributive partners, including their users. 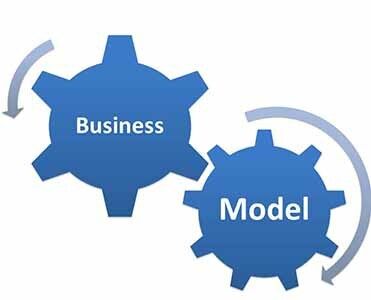 Business design must be a proportionate endeavour to product and service, in order to combine right value propositions and business models as Alexander Osterwalder underlines. Rather than an Opportunity Discovery Department that Philippe Silberzahn accurately describes, Open-Innovation Centers must go for business, and invent new business models: it’s the purpose of innovation, and it’s the right way to connect, and gain respect from the business units. Cooperate and not push or sell. Actually, you don’t sell innovation: you create desire for change, turning your innovation from a problem stressing the absortive capacity of the company, to a solution to a business problem. As Tendayi Viki clearly encourages, number of validated business models, and number of validated business models taken to scale, must be part of the metrics of open-innovation centers to demonstrate their impact. There was a saying in ancient Rome: “It is not far from the Capitoline Hill (where consuls took their vows) to the Tarpeian Rock (from which criminals were thrown to their death). This works also for innovation centers that forget about the business, and which might well be shut down, shortly after they’ve been set-up. I’ve spent much of the last year working in a large co-working space and it’s been a real insight into the way people are beginning to innovate and develop new business ideas. Several new companies have formed out of the amalgamation of two or more freelancers, who have met and begun collaborating through the space. 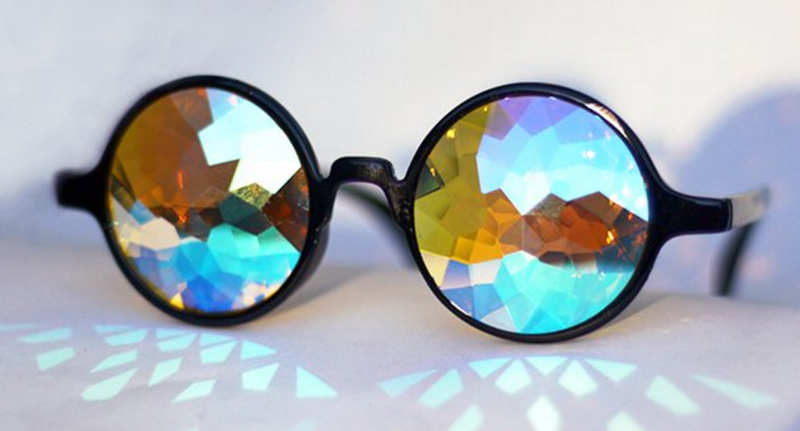 I see this type of thing as very much the future.